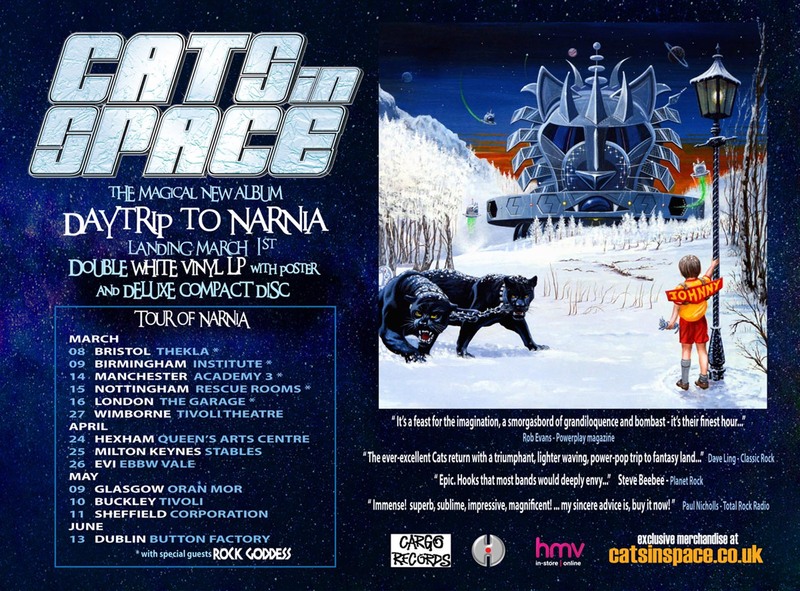 UK pomp rockers CATS IN SPACE have released a new music video for ‘Thunder In The Night‘, the track is taken from their 3rd album ‘Daytrip To Narnia‘, which will be released on March 1st via Harmony Factory/Cargo Records. The video can be viewed below. The album was produced by Greg Hart&Mick Brown and Recorded at Farend Studio, Eversfield, Vale Studio and Echo Zoo – July 17 to Sept 18. A huge “Epic Long Player” featuring on one side, soon to be Power pop classics like the single “Hologram Man” & “Silver & Gold” through to the acoustic power ballad “Chasing Diamonds” with vocals reaching out to the stars. Flip it over and you see the conceptual 27 minute epic that is “The story of Johnny Rocket”. Six songs making up a space traveling journey turning from rock to disco to heart wrenching balladry in one flight…A bold huge musical move that only these Cats can pull off in this day and age of musical blandness. The album will be available on standard CD, 12″ 180g white vinyl and an extremely limited edition Narnia Box which is a numbered, premium quality wooden boxes full of CATS IN SPACE goodies including the new album on CD, a 12″ of “Thunder In The Night” which includes unreleased tracks like their version of LED ZEPPELIN‘s “Communication Breakdown”, “Man In The Moon” (acoustic), “Mr Heartache” (Manzi Mix), a Johnny Rocket woven patch, dog tag, guitar plectrum, six collector cards and a cover of SLADE‘s “How Do You Feel” featuring Danny Bowes from THUNDER on 7″ vinyl. 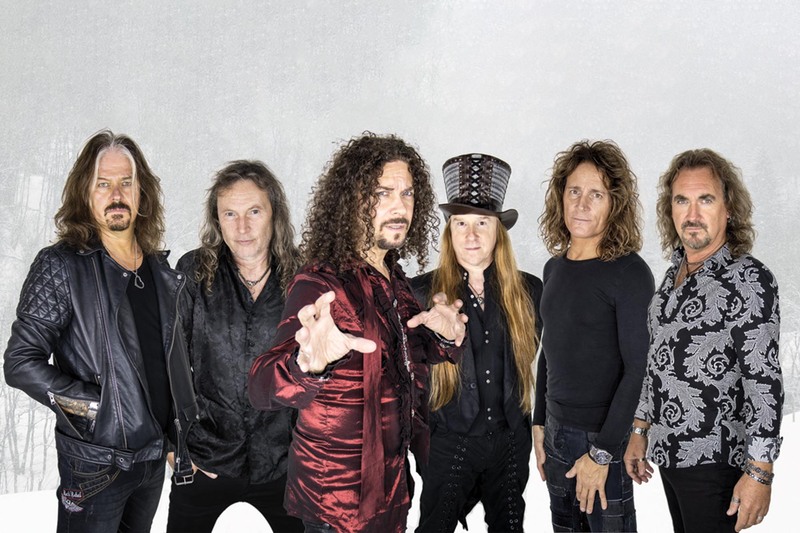 To support the album, the Cats will undertake a UK tour in March, April and May, with support from Rock Goddess on selected dates with the other support bands to be confirmed in due course. They have released two critically acclaimed albums in ‘Too Many Gods’ (2015) and ‘Scarecrow’ (2017) which made the UK national top 30 chart, and was voted top 10 in the ‘Planet Rock album review’ of 2017. Reviews worldwide were nothing short of incredible.